The 2018 Winter Olympics in PyeongChang are just a week away! Primetime coverage of the games will start February 8th with figure skating before the opening ceremonies on February 9th. The Olympics coverage ends 17 days later on February 25th with the closing ceremonies. The Olympics will be available on 5 DISH channels: NBC Sports Network, USA Olympics Coverage, CNBC Olympics Coverage, NBC Olympics Channel and NBC Olympics in 4K HDR. For the first time in Winter Olympics history, primetime broadcasts will be live across all time zones, meaning that no matter where you live, you’ll see the Games at the same time as everyone else in the country. On channel 147.05 and 540, you can watch Olympic coverage from the previous day in 4K. As many as 4 events from the day before will be aired and available for DISH customers with a 4K TV and a Hopper 3. Sports available in 4K will include hockey, figure skating, short track speed skating, ski jumping and snowboarding. If you have a Hopper or Wally receiver, you’ll have access to the NBC Olympics TV Experience app. Hopper 3 users can watch 6 screens at once with MultiView to catch all the action from the Winter Games. To keep up with the Olympics no matter what you’re watching, use the NBC Olympics TV Experience tile. You can find this under GameFinder. NBC will live stream 1,800 hours of the Games, which is a Winter Olympics record. To take the Olympics on the go, use the DISH Anywhere app for your smartphone or tablet! What channels will the Olympics be on? DISH customers can find the Olympics on NBC Sports Network, USA Olympics Coverage, CNBC Olympics Coverage, NBC Olympics Channel and NBC Olympics in 4K HDR. What channel is NBCSN on DISH? NBC Sports Network is channel 159 on DISH. To watch the Olympics on NBCSN, choose this channel on your guide and you’ll be directed to channel 147.01. The Hopper Olympics App will be available on channel 159 and will be listed under NBCSN on your TV guide. Does DISH Network have the Olympic Channel? Yes! 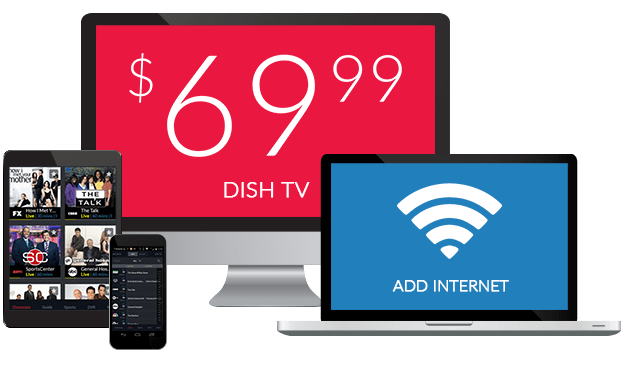 DISH offers the Olympic Channel as part of its America’s Top 200, America’s Top 250 and America’s Everything Packages. The Olympic Channel profiles athletes, coaches and others on their journeys to the Olympics and beyond. What channel is Olympic Channel on DISH? The Olympic Channel is available year-round on channel 389 in DISH’s America’s Top 200 and Top 250 packages. This channel offers behind-the-scenes looks at the athletes and teams involved in Olympics throughout history.